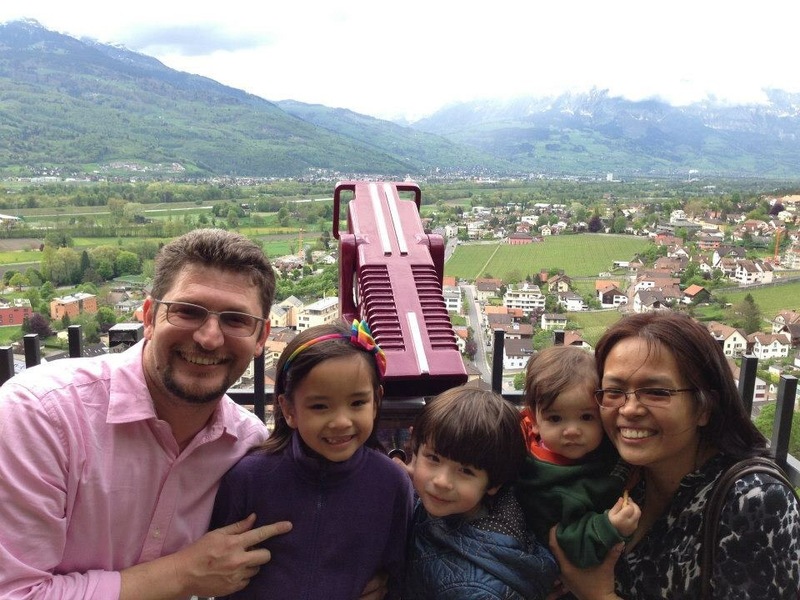 Guggenheim Museum For Kids – Turknoy Travels 100! 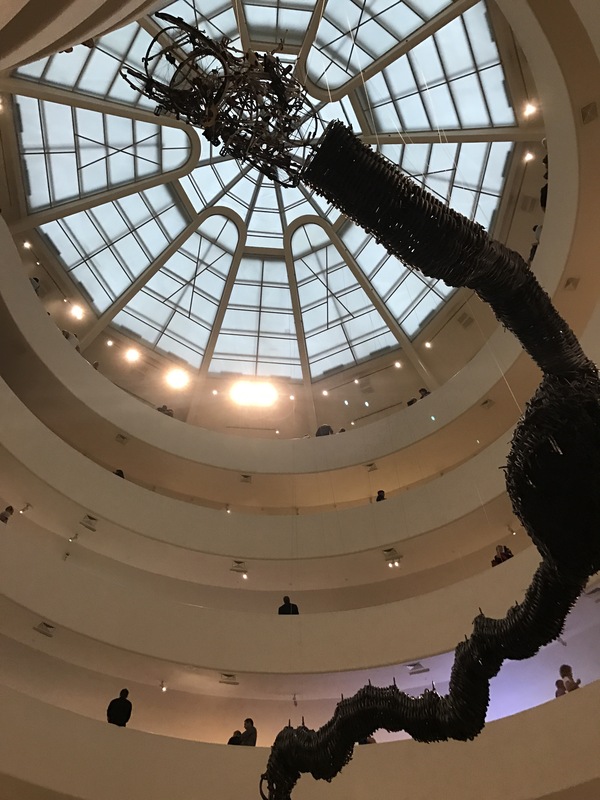 Guggenheim Museum is modern art museum located at 1071 Fifth Avenue on the corner of East 89th Street in the Upper East Side neighborhood of Manhattan, New York City. It’s a stone throw away from Metrolpolitan Museum of Art on the other side of the street. We were very impressed with the paintings we found in the museum. The museum was established by the Solomon R. Guggenheim, hence the name. He is a philanthropist and quite obviously, art lover. 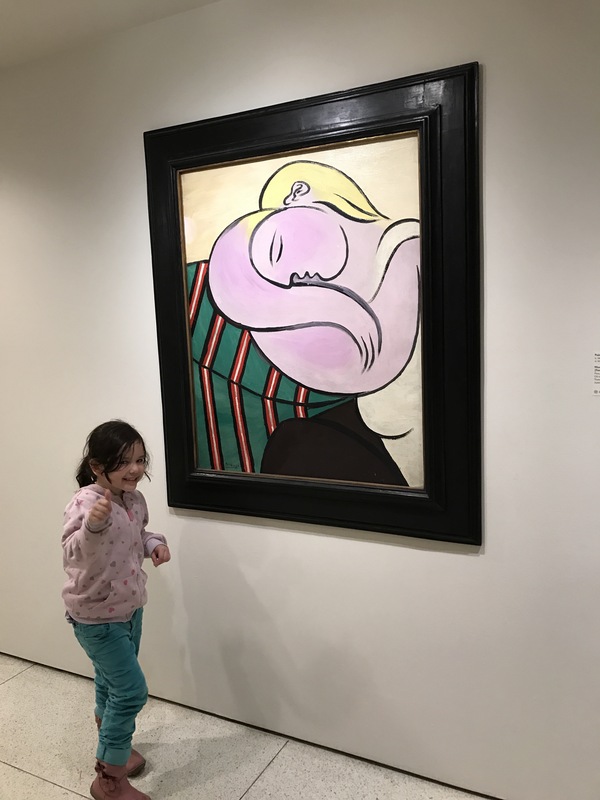 The kids enjoyed the paintings we saw inside the museum and these are their favorite. Woman With A Yellow Hair, Pablo Picasso, 1931. 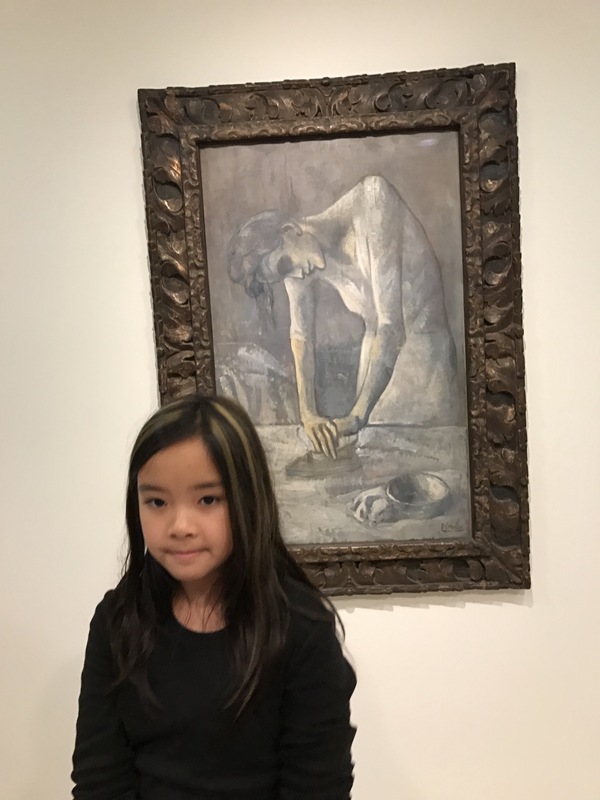 We read a lot about Pablo Picasso and one of our favorite is “The Girl With A Pony Tale.” Okay, the note about the painting is a little trolling because the little girl was only seventeen when she met Picasso and became the object of a lot of Picasso’s art works. 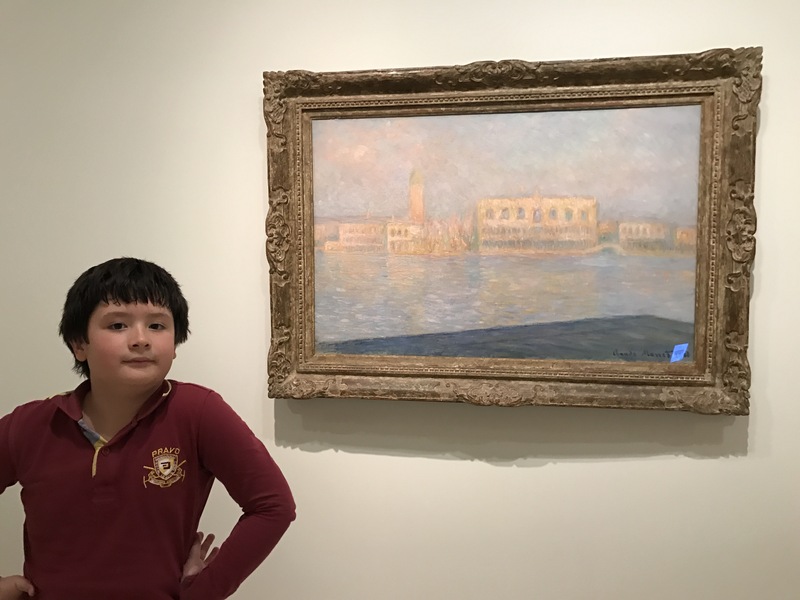 Despite that fact, this painting our little fierce traveller’s favorite in the Guggenheim Museum. Woman Ironing. Pablo Picasso.1904. Since our eldest traveler is the master of shades, she knows good art when she it. She’s happy being in the Guggenheim Museum. Top of the cherry in this Museum is its architecture and design which the kids never got tired of looking… and climbing up and down.